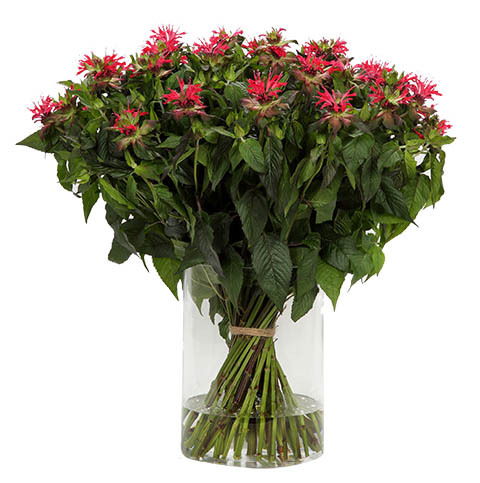 The spicy Monarda has a very long vase life. The Pico Bello has a small crown on top of the flower. The bright green with dark pink colour makes the flower stand out.